In 2015–16, production of canned fruit was valued at $20 million (LVP), $1 million less than the 2014–15 production year. Fruit production for canning is carried out from December to May and volumes of between 100,000 and 120,000 tonnes are processed annually. The industry represents more than 170 fruit growing, packing and exporting businesses. 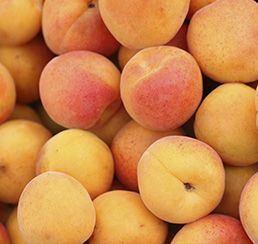 The canned fruits industry is primarily based in the Goulburn–Murray Valleys region of Victoria, processing Australian apples, pears and stone fruit (peaches, apricots and plums) at Shepparton. The canned fruit industry does not have a specific biosecurity plan or manual but is covered by plans and manuals for the pome fruit (apple and pear) and stone fruit (summerfruit) industries. 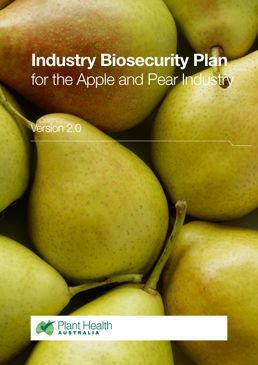 Biosecurity planning provides a mechanism for the canned fruit industry, government and other relevant stakeholders to assess current biosecurity practices and future biosecurity needs. Planning identifies procedures that can be put in place to reduce the chance of pests reaching our borders or minimise the impact if a pest incursion occurs. 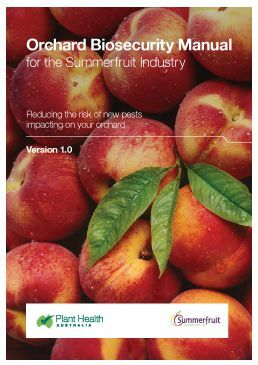 The Orchard Biosecurity Manual for the Summerfruit Industry or the Orchard Biosecurity Manual for the Apple and Pear Industry contain information to help producers to implement biosecurity on-farm. Manuals usually contain an overview of biosecurity, fact sheets to identify the high priority pests of a crop, tips on crop management, and how to manage people, vehicles and equipment to minimise biosecurity risks. Manuals also contain a biosecurity self-assessment list, and templates to record pest surveillance records and visitors. The following is a list of documents for exotic and endemic pests of canned fruit. Please note that this is not a complete list of pests: rather it includes pests for which documents exist in the Pest Information Document Database. Some of the documents presented here are not tailored to canned fruit and are included for information only.